Because the archaeology of West Mexico has received little attention from researchers, large segments of the region’s prehistoric ceramic sequences have long remained incomplete. This book goes far toward filling that gap by analyzing a collection of potsherds excavated in the 1960s and housed since then, though heretofore unanalyzed, at UCLA. The authors employ the rarely used statistical technique known as correspondence analysis to sequence the Long-Glassow collection of artifacts. 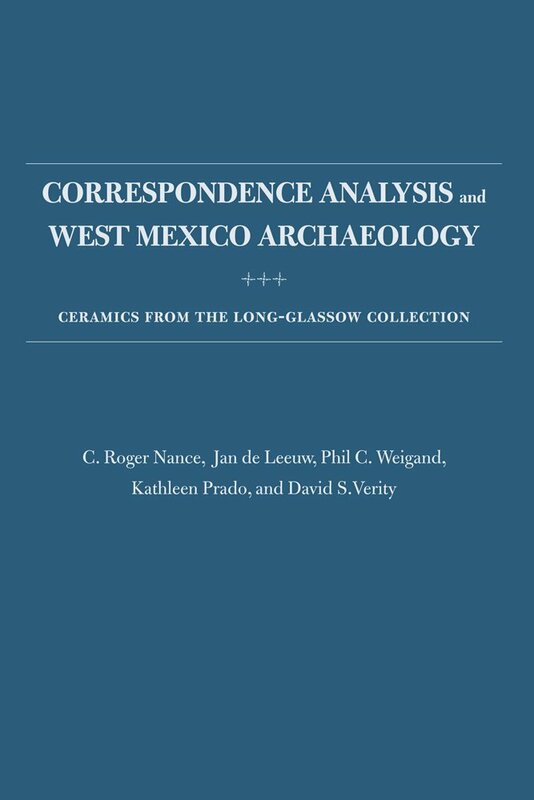 The book explains how correspondence analysis works and how it can be applied in archaeology. In addition to describing the archaeological sites in north central Jalisco where the collection comes from, the authors provide an ethnohistorical overview including information on the earliest Spanish explorers to reach the sites. They sequence more than seventy ceramic types and derive a master sequence from more than ten thousand potsherds. In addition to Mesoamerican archaeologists, the audience will also include other archaeologists concerned with ceramic analysis or the application of statistics to archaeology. Jan de Leeuw is distinguished professor of statistics at UCLA and editor of Journal of Multivariate Analysis and Journal of Statistical Software. Phil C. Weigand was professor of archaeology, El Colegio de Michoacán, and coeditor of Archaeology of West and Northwest Mesoamerica. C. Roger Nance is Cotsen Fellow, Cotsen Institute of Archaeology at UCLA and coauthor of Archaeology and Ethnohistory of Iximche. David S. Verity is curator emeritus at UCLA’s Mildred E. Mathias Botanical Garden. Kathleen Prado is a research assistant at UCLA.